Innovation is in our DNA at ADP. Within ADP’s Enterprise Learning organization, the team is laser focused on helping clients and ADP associates better leverage the company’s products and service tools through an accelerated, modern approach to learning. In this dynamic session, explore ADP’s Enterprise Learning organization’s never-ending quest to drive a modern learning organization and accelerate the company’s strategy. Just supporting the strategy will no longer suffice! High impact learning organizations play an active and strategic role in moving it forward. With a perfect back drop at ADP’s Innovation Lab in New York City, join Andrea Elkin, Vice President Learning, as she takes you on a journey through her team’s Just in time, Just Enough, Just for Me mission. Unique to Enterprise Learning is its status as a COE (Center of Expertise), operating as a standalone learning entity and very much aligned with the goals of each business unit. Learn more about ADP’s significant investment in learning and the steps being taken to modernize learning through people, process and technology. Economist John Kenneth Balbraith said that “faced with the choice between changing one's mind and proving that there is no need to do so, almost everyone gets busy on the proof.” Andrea and her team get it. To be relevant in tomorrow’s world, the choice is obvious. To continue the success of her organization and that of ADP, Andrea is moving quickly to be well positioned to support clients and associates at the moment of need with best in class technology and learning solutions. They want it now! Millennials touch their smartphones at least 45 times a day. It is the most connected generation. Ever. And that connectedness shows up in the workplace. Everything needs to be just in time, just enough and just for me learning. We need to meet them where they are, accelerating their learning through virtual reality and whatever that next “cool” thing is out there capturing their focus. With technology being part of who we are wherever we work or play, learning organizations must take a hard look at their operating principles to ensure they are positioned well to leverage the very latest in technology to move learning and the business forward. Explore the real impact that Enterprise Learning has in accelerating business strategy. See real life examples of how a learning organization is modernizing learning. Understand how to apply an agile learning methodology when what you are teaching is constantly changing. Participate in a live Q&A with Andrea Elkin, gaining first hand insights from a proven leader in excellence and innovation. Do you want a sneak peek of ADP’s Innovation Lab? 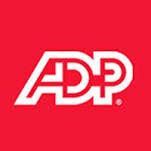 Innovation is the force that moves ADP forward. See how quickly things are changing. What’s love got to do with it? In the case of Andrea Elkin, VP, Enterprise Learning at ADP, it is everything. Andrea’s passion and love for excellence and innovation is what fuels her unyielding commitment to delivering a winning organization and driving modern learning for ADP. Her team’s winning aspiration, “the learning experiences we produce and the associates we developed will be fundamental reasons clients do business with ADP, ” is all about putting our clients and associates at the heart of what we do. How does she do it? Andrea and team are bringing that winning inspiration to life with the mission to create “Just in Time, Just Enough, Just for Me” learning that delivers business results. When she’s not driving a winning culture at ADP, she enjoys speaking at nationally recognized conferences focused on talent management, leadership and learning but always saves time for her family and passion for spinning and yoga. The best piece of advice she ever received is that to be successful you need to make at least one difficult phone call, everyday. You’re invited to follow her on LinkedIn at https://www.linkedin.com/in/andreaelkin/ to learn more about her professional experience, industry awards and other industry recognitions.